This documentation describes the New Relic Dotnet Extension Buildpack for PCF and provides instructions on how to install the tile. The tile can bind New Relic agents to Dotnet Core or Dotnet Framework apps so you can monitor them in a PCF environment. 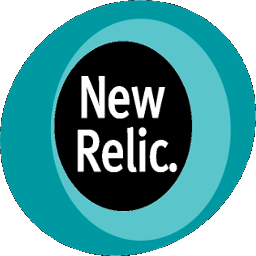 The New Relic Dotnet Extension Buildpack for PCF enables you to bind your Dotnet (Core and Framework) apps to New Relic Dotnet agents. This allows you to monitor the health and performance of these apps, analyze the data captured by agents, and additionally correlate the captured agent data with PCF infrastructure metrics and events collected by the New Relic Firehose Nozzle. The New Relic Dotnet Extension Buildpack for PCF can be installed via the tile in Ops Manager. Alternatively, you can extract the .Pivotal file and install individual extension buildpacks using the cf Command Line Interface (CLI) command cf create-buildpack. After you start monitoring your apps, you can set alerts based on any metrics that are collected by Dotnet agents using the New Relic alerting subsystem. New Relic Dotnet Core Extension Buildpack for Dotnet Core Applications (Ubuntu Trusty 14.04 and Xenial 16.04 stemcells). This extension buildpack is non-cached. New Relic HWC Extension Buildpack for Dotnet Framework Applications (Windows 2012 R2 and Windows 2016 stemcells) This extension buildpack is non-cached. This is for support of air-gapped environments where there is no access to the outside world. New Relic HWC Extension Cached Buildpack for Dotnet Framework Applications (Windows 2012 R2 and Windows 2016 stemcells) running in disconnected (isolated) PCF deployments. This is in support of air-gapped environments where there is no access to the outside world. All buildpacks use the multi-buildpack approach of Cloud Foundry and require either the standard Dotnet Core buildpack or HWC buildpack to be specified in the buildpack chain, either in the app manifest or in the cf push command line. The following table provides version and version-support information about New Relic Dotnet Extension Buildpack for PCF. WARNING: New Relic Dotnet Extension Buildpack for PCF v1.0.1 and earlier require a Ubuntu Trusty stemcell. The end-of-life date for Ubuntu Trusty is April 2019. If a security vulnerability is found on this stemcell after April, it will not be fixed. This product has been tested and is compatible with PCF versions v2.1.x and later. An active New Relic account with a license key. This is used to bind Dotnet apps to New Relic Dotnet agents. To use multi-buildpacks in the app manifest, you need cf CLI v6.38 or later. For general information about adding buildpacks to manifests, see buildpacks in the Cloud Foundry documentation. To use the Dotnet HWC extension, you need HWC buildpack 3.0.3 or later. To use the Dotnet Core extension, you need the dotnet core buildpack 2.1.5 or later. If you do not already have a New Relic account, you can obtain an account with a free trial license. If you have feature requests, questions, or information about a bug, please submit an issue on github.